Audio specialist Sennheiser is preparing themselves to roll out the IE 60 and IE 80 professional earphones at CES in January next year, so those of us who will be making a beeline for the largest consumer electronics show on earth might want to drop by and take a closer look at what Sennheiser will deliver then. These models were specially developed while taking advantage of Sennheiser’s vast experience in the professional music sector, where it is said that they will deliver an audio quality precision which is more or less unrivalled in the portable segment. To put it in a nutshell, both the IE 60 and IE 80 ear-canal phones will target music enthusiasts who want nothing but the best possible audio quality. They will feature an even more innovative design after taking into consideration the positive feedback from Sennheiser’s customers, and to prove a point, the ear-canal phones will rely on dynamic transducers which will cover the whole frequency range with but a single system. This ensures that distortion of any sort will remain at a minimum, even at high sound pressure levels. Also, the design and accompanying ear adaptor accessories allow for the best possible attenuation. The high end IE 80 model is capable of achieving a noise attenuation of up to 26 dB, where both earphones will see action for monitoring purposes, making it the ideal companion for MP3 players, portable media players and smartphones. As for the IE 60, this particular model will deliver high-resolution sound with excellent bass reproduction, being positively skewed towards modern pop and rock music by boasting impressive precision and high-resolution bass reproduction. Capable of passive noise attenuation of up to 20 dB, coupled with a frequency response of 10 to 18,000 Hz, the IE 60 will boast of luxurious brass accents which contrast the matte-black finish of the earphones. Thanks to a rugged housing and cabling, it is suitable for even the most demanding situations. 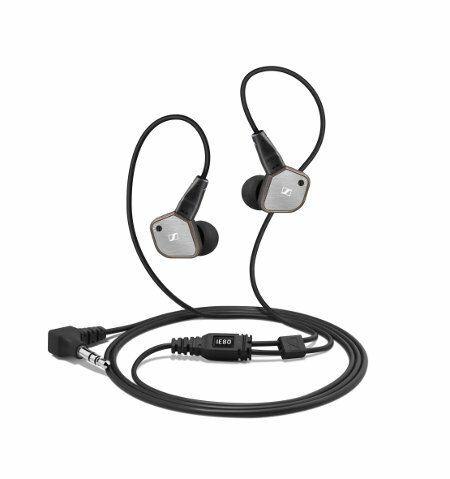 Back to the IE 80 – this earphones will include a unique sound tuning function, where the miniature rotating control lets you increase or reduce the bass response as required. This translates to a lifelike, detailed sound and features a frequency response of 10 to 20,000 Hz with a passive noise attenuation of up to 26dB. Any takers?